Live concerts begin on January 18, 2018 and will be held through April, 2018, with five concerts total. Visitors can sit back and experience the wonder of the cosmos and the wonder of music to five different performances featuring pop, jazz, folk and rock sounds. The Grand Rapids Public Museum announced today that Concerts Under the Stars will return for a second year, with an additional show in 2018. Concert-goers will enjoy a fully immersive audio and visual experience. Live concerts begin on January 18, 2018 and will be held through April, 2018, with five concerts total. Visitors can sit back and experience the wonder of the cosmos and the wonder of music to five different performances featuring pop, jazz, folk and rock sounds. The first concert in the series on January 18, 2018 will feature hi-ker with experimental synth and post new wave bizarro pop. 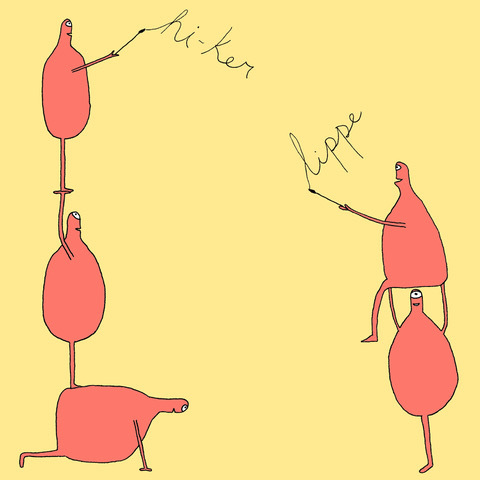 hi-ker is composed of Spencer Gordon, Chris Ryan and Kohl Sprader, and their newest album titled “Lippe” was self-released on December 1, 2017. In the new album, the band explores a more sample and synth-based sound compared to their previous works. 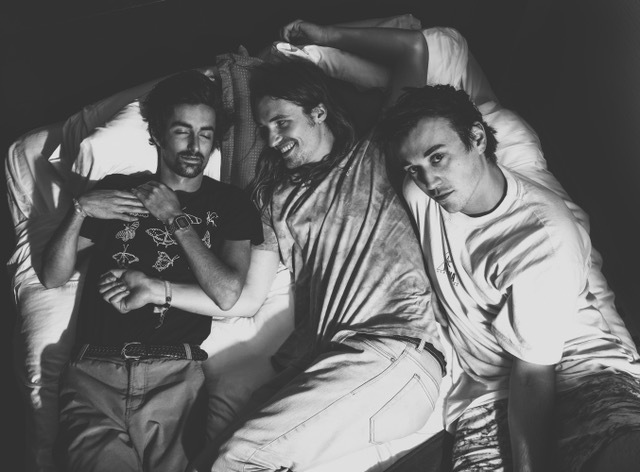 With influences ranging from Talking Heads and Animal Collective to Aphex Twin, hi-ker is trying out new sounds that will be sure to keep your attention. The January concert will also feature visuals by Nate Eizenga. Eizenga is a Grand Rapidian who moonlights as video artist, focusing on accompaniment for live musical performances. By using controllers intended for digital music production to create, mix and manipulate video in real time he crafts a visual experience that toes the line between artistic spontaneity and musical synchronicity. Since his first public show in 2015 Nate has performed for numerous events, including Concerts Under the Stars 2017. Tickets are $10 for GRPM members, $12 for non-members if purchased in advance, and $15 for non-members on the day of the concert. Tickets are currently on sale at grpm.org, by calling 616.929.1700 or at the Museum’s front desk. The 2018 Concerts Under the Stars Series will continue on February 8, 2018 with jazz from Edye Evans Hyde, March 1, 2018 with one-woman-band Jes Kramer, March 22, 2018 with alternative folk by Dan Rickabus, and will close on April 12, 2018 with the alternative rock sounds of Major Murphy. The recently renovated Chaffee Planetarium offers a variety of shows featuring the latest Digistar projection technology and immersive surround sound for an unbelievably rich and realistic experience. The Chaffee Planetarium reopened in March 2014 after a major renovation, including all new technology, sound system, full dome and seating. The renovation was made possible through the generosity of our donors, including the lead gift from The Wege Foundation. The Planetarium is named for Grand Rapids native, Roger B. Chaffee, who died with fellow Apollo 1 astronauts Gus Grissom and Ed White during a pre-launch test in 1967. The Planetarium was originally opened in 1994 and underwent a multi-million dollar renovation fall 2013 to spring 2014. The Grand Rapids Public Museum is an invaluable, publicly-owned institution that is home to more than 250,000 unique artifacts that tell the history of Kent County and beyond, houses the only planetarium in the region, and is responsible for protecting the Norton Indian Mounds, a national historic landmark. 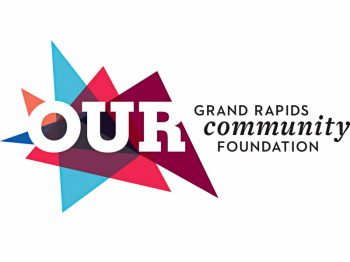 The Grand Rapids Public Museum is accredited by the American Alliance of Museums, with its main location in downtown Grand Rapids, MI at 272 Pearl Street, NW. For additional information including hours of operation, admission fees and exhibit/event listings, please visit www.grpm.org.